Medford Rehabilitation & Nursing Center in Medford. At the Rehabilitation & Nursing Center at Everett, grime and mold smothered the windows, leaving residents barely able to see outside. “Dehumanizing” was the assessment of a state inspector who visited in February. A week earlier, an unattended resident with dementia climbed out a broken dining room window and fractured an ankle, according to the inspector’s report. A few miles away, at the Medford Rehabilitation & Nursing Center, health and safety violations were so persistent that regulators in 2014 placed it on a list reserved for the nation’s most problem-plagued nursing homes. The nursing homes are owned by Personal Healthcare, a for-profit Tarrytown, N.Y., company that also runs Cambridge Rehabilitation & Nursing Center, which has struggled, too. Company financial reports indicate nurse staffing at all three sites has been below the state norm. At the same time, the company has directed money from the nursing homes to its New York headquarters, sending more than $200,000 in 2014 for consulting and professional services, according to a Globe analysis of the company’s latest financial reports filed with state regulators. Synergy Health Centers, which operates 11 facilities in Mass., faces health and safety problems at several locations. The owners of those nursing homes acknowledge their facilities are not perfect but said they acquired buildings in disrepair and care for residents with significant needs. The story of the Personal Healthcare nursing homes finds echoes in facilities across Massachusetts, a Globe review shows. For-profit nursing homes often are cited for more health and safety problems than nonprofit homes, while they are far more likely to divert money to a web of affiliated companies. The Globe scrutinized the 2014 financial reports, the latest available, from 396 Massachusetts nursing homes and examined the money spent on nursing care, patient food, management, rent, and fees for therapy, office support, and other services. Also examined were health and safety violations for each nursing home. For-profit nursing homes, which constitute three-quarters of those in the state, frequently devote less money to nursing care, compared to nonprofit homes, the analysis showed. Medicaid spends about $1 billion a year for care in Massachusetts nursing homes, according to the state’s Executive Office of Health and Human Services. Medicaid is the government program that pays nursing home bills for people with limited incomes or depleted savings. But nursing home operators lament their financial plight as they lobby Beacon Hill for more money. They say many nursing home owners are cash-strapped and additional money is sorely needed to give a raise to poorly paid nursing assistants and to improve care. On forms they submit to the state, nursing homes frequently report they are losing money. But that’s only part of the story. A review of records from companies affiliated with the homes shows they are directing cash to subsidiaries and to help pay executives’ six-figure salaries. Precise numbers are hard to pinpoint because many nursing home companies failed to report executive salaries or include required information about their affiliated companies in financial reports filed with state regulators. Charlene Harrington, a professor emeritus at the University of California, San Francisco, has long studied nursing home finances in other states and has concluded that many nursing homes operating as for-profit companies have become adept at hiding money. Elissa Sherman, president of LeadingAge Massachusetts, a trade association that represents many of the state’s nonprofit nursing homes, said families searching for a nursing home for a relative, often under duress, typically do not understand the differences between nonprofit nursing homes and those that operate for profit. “It’s one of the reasons I always tell consumers that nonprofits, in general, are able to spend more on the things that impact the quality of care and the quality of life,” she said. But Massachusetts Senior Care Association, the state’s largest trade group, said all nursing home owners are dedicated to providing quality care. “Regardless of whether they are for-profit or nonprofit, they are proud of that care,” said Tara Gregorio, the association’s senior vice president. As waves of aging baby boomers confront their mortality, questions about the cost and quality of nursing home care are gaining urgency. ■ For-profit Massachusetts nursing homes typically spent about 76 cents less a day on food for each patient than nonprofit nursing homes. That’s about a 10 percent difference. Food service directors say that seemingly small amount can mean the difference between serving patients fresh fruit and vegetables, or frozen and canned ones. ■ For-profit nursing homes generally spent $11 a day less on nursing care for each patient than nonprofit facilities. That translates to about $4,000 a year less for each patient. ■ For-profit nursing homes were more likely to be cited by state inspectors for health and safety violations. Such deficiency citations were 60 percent higher in for-profit homes. ■ For-profit nursing homes were far more likely to pay rental fees to a company they also owned, providing a prime avenue for owners to keep more money. Among for-profit nursing homes, 163 paid rental fees to themselves or a related company. Just 11 nonprofit homes reported such payments. ■ The financial reports show that 80 Massachusetts nursing homes each paid more than $1 million in rental fees, with the money often directed to property companies they also own. Among these nursing homes, the health and safety problems found by state inspectors were 42 percent higher than for the facilities that spent less than $1 million. All but one of those that spent more than $1 million in rental fees was for-profit. There are for-profit nursing homes that provide consistent, quality care. But the Everett, Medford, and Cambridge nursing homes owned by Personal Healthcare appear to be in a different category. All three facilities receive below average rankings from federal and state regulators because of health and safety violations. 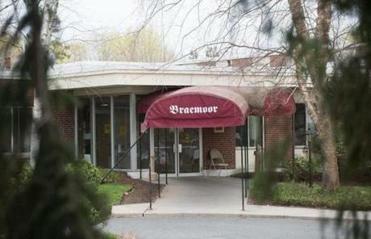 Federal regulators froze reimbursements to the Everett nursing home for nearly two weeks late last year and for three months in late 2014 and early 2015 — an unusual penalty — because of chronic problems, records show. But it wasn’t just federal authorities who found problems there. City inspectors halted renovations at the Everett nursing home in October 2014 after discovering the company was using unlicensed contractors for electrical, plumbing, and fire sprinkler system work, Everett records show. The inspectors chased company officials for months, trying to get the substandard work fixed, records show. Company officials promised city, state, and federal regulators in October 2015 they had a plan to correct the faulty work. Five months later, the work has yet to be done, and the nursing home faces a third payment freeze, and more serious penalties, new federal documents show. Everett building inspector George Lane appears to be fed up. “If I had the power to shut this facility down, I would have a long time ago as I have a feeling the owners do not care about the safety of the occupants,” he wrote in an Oct. 28 memo to city and state officials. Ephraim Zagelbaum, chief executive of Personal Healthcare, defended the company’s Massachusetts track record, blaming the City of Everett for delays in renovations. 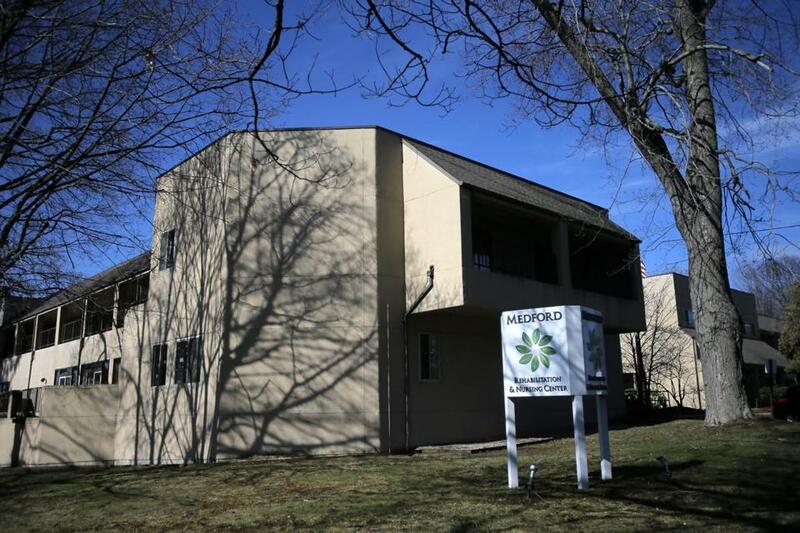 He said the company’s Everett and Medford homes were struggling financially when Personal Healthcare bought them, and have been difficult to operate because they care for patients who are homeless and have mental health and substance abuse problems. The company bought its Cambridge facility in 2010, followed by Medford in 2012, and Everett in 2013. Personal Healthcare’s financial reports show that all three Massachusetts nursing homes pay rent to realty companies held by the investors who own the homes. Those rents range from $369,366 to $616,745. Two of the three realty companies show modest profits, with one earning about $11,900 and another about $9,400 after the mortgages and other expenses were paid. The third reported a loss of about $17,600. But there is no way to tell how much the company’s executives earned — because Personal Healthcare failed to report that information. Zagelbaum insisted the owners are not making money on their Massachusetts facilities, and provided a statement he said was from the company’s accountant that concluded the nursing homes and their realty companies lost a total of nearly $300,000 in 2014. “There are definitely some people making money in this business, but these [Massachusetts] facilities have been a significant work in progress,” Zagelbaum said. But figuring out who’s making money — and who isn’t — may not be as easy as looking at the bottom line of a nursing home’s ledger sheet. That’s because of the network of affiliated companies associated with many nursing homes. Consider Bear Hill Rehabilitation and Nursing Center, a family-owned, for-profit nursing home in Stoneham known for its good care. The 169-bed nursing home receives favorable ratings from federal regulators and high marks during state inspections. Bear Hill recorded a $477,500 loss in its 2014 financial report, suggesting the business is not a money maker. But a closer look shows the nursing home paid $1.7 million in rent to its realty company — owned by Domenic Franchi, who also owns the nursing home. More than half of the $1.7 million went to Franchi, after the nursing home’s taxes and other property bills were paid, according to the financial report from Franchi’s realty company. The nursing home’s financial report does not list any salary for Franchi. But it does show that in addition to the $1.7 million paid to his realty company, Bear Hill paid Franchi’s management company $888,000 for management and consulting services. But there’s no way of knowing what, exactly, Bear Hill got for its money. The affiliated management company failed to file a required financial report, which might have shown whether Franchi or other executives drew salaries and benefits from the affiliate. Gerald Carroll, Franchi’s son-in-law and Bear Hill’s comptroller, said the company was unaware it needed to file the report. Carroll said Bear Hill offers consistent, quality care because of consistency at the helm; the nursing home’s director of nursing and its administrator have both been there more than two decades. Each received a salary and benefits of about $200,000 in 2014, according to the company’s financial report. Bear Hill’s use of affiliated companies is common. Nursing homes — for-profits more often than nonprofits — establish these types of companies to supply a wide range of services, including office support, insurance, management, pharmacy, and therapy assistance. The practice, first used by nursing home chains to consolidate services and reap savings, moves money from nursing homes to their affiliated companies. But the trend has made it harder to track nursing home finances and posed challenges for people who have sued to get access to a nursing home’s money, according to attorneys who represent patients who have been harmed. “One advantage of using related parties is that these companies can generally charge one another any amount that they deem reasonable, regardless of the true underlying cost, to provide services,” said Stuart McLendon, a senior financial analyst at CFO Network, an Arkansas firm that has helped state and federal investigators decipher nursing home financial reports. The arrangement allows a nursing home company to shift large amounts of money to an affiliated company, and then pay hefty salaries to nursing home executives, relatives, or board members from the related company’s purse. The salaries usually do not show up on the nursing home’s financial report, but sometimes can be found by combing through the financial reports of a nursing home’s related companies. Massachusetts nursing homes are asked to provide salary and benefit information about their three highest paid employees, in addition to top executives, in annual financial reports. The Globe found many companies failed to provide complete information, particularly about executive pay and benefits. No nursing homes have been penalized for incomplete or even falsified information on their annual financial reports, according to the state Medicaid office. While many companies simply left the section on executive pay blank, Life Care Centers of America, a for-profit company based in Tennessee, took a stand. Life Care Centers is one of the nation’s largest providers of long-term care, with facilities in 28 states, including 15 nursing homes in Massachusetts. The company eventually filed the required financial information with state regulators, after the Globe requested it, and the documents showed that chief executive Forrest Preston was paid $1.7 million in salary and benefits. The company’s chief medical officer received $410,634, and $331,839 was paid to the company’s president. The salaries were reported on financial documents for Life Care Center’s affiliated management company. Despite these types of payments to executives and related companies, the Massachusetts Senior Care Association, the nursing home trade association, reports about half of nursing homes are operating in the red because of paltry Medicaid reimbursements. The association has not tracked whether nursing homes reporting financial losses are, at the same time, paying hefty executive salaries or large amounts to related companies, according to Gregorio, the association’s senior vice president. “It sounds as if it is something we should look at,” Gregorio said. Russell Goldenberg and Meagan Dion of the Globe staff contributed to this story. Kay Lazar can be reached at Kay.Lazar@globe.com. Follow her on Twitter @GlobeKayLazar.